In the fall of 1991, acclaimed Iranian director Amir Shervan crafted a work of singular focus and clarity that would come to not only have an indelible effect on martial arts filmmaking but also on the world of cinema as a whole. 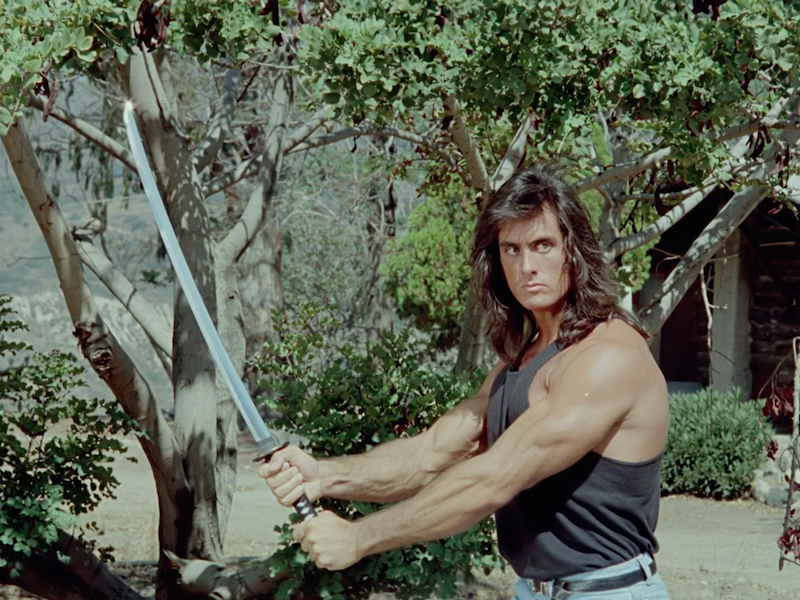 Despite this response, Samurai Cop has also regrettably attained a number of defiant detractors since its release, many of whom mistake the film’s bold aesthetic choices for tawdry errors in production. Perhaps the artistic merits of this misunderstood masterpiece were always meant to lie dormant, only to truly reveal themselves after years of rigorous scrutiny and thoughtful re-consideration. For those unfamiliar with the now infamous story, we follow our titular hero Joe Marshall (Matt Hannon) as he transfers from San Diego to the turbulent streets of Los Angeles. When the dangerous Katana (which is Japanese for “Japanese sword”) gang emerges from the dregs of the underground drug market, its leader Fuj Fujiyama (Cranston Komuro) and his right-hand man Yamashita (Robert Z’Dar) vow to wage all out war on the LAPD. Along with his police partner Frank (Mark Frazer), Joe must summon his years of diligent martial arts training from Japan to end Fujiyama’s reign of terror. In today’s world of stuffy blockbusters and play-it-safe tentpole movies, it’s enlivening to revisit a film with such an independent sense of brazen intentionality. The director’s decision to only use the first take of each scene may sometimes lead to inconsistent line readings from the actors or slight variations in lighting but the result is clearly meant to celebrate the fleeting spontaneity of the creative process. Whatever “imperfections” may arise from this bold approach are meant to represent the organic nature of the filmmaking and by allowing these scenes to proceed uninhibited, Shervan creates a environment where the characters can freely explore their circumstances. The film’s shootout and hand-to-hand combat sequences, which are expertly staged and clearly took months of hard work to choreograph, make up the most viscerally gripping portions of the story. The final showdown between Joe and Yamashita is a lengthy and demanding setpiece that showcases the commitment of two actors who come off as completely believable martial arts experts. The iconic music by Alan DerMarderosian, inspired by popular video game scores of the late 1980s, sets a reliable foundation for both these intense action scenes and also the film’s quieter dramatic moments as well. I would be foolish to neglect the acting, which is top-notch all around, but is particularly notably from Matt Hannon as Joe Marshall. His unique brand of unrelenting intensity, which culminates with an unforgettably impassioned monologue to the Katana gang, is unrivaled in the realm of modern acting. Many cite Quentin Tarantino’s Pulp Fiction as the film that reinvigorated independent cinema in the 1990s but in the years since its release, Amir Shervan’s Samurai Cop has proven itself to be an even more influential and enduring work that will continue to inspire filmmakers for generations to come.